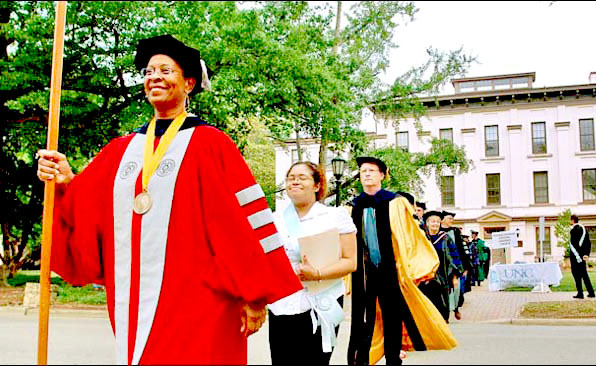 Literary critic and professor Trudier Harris, a native of Tuscaloosa, Tuscaloosa County, leads the procession at the 2008 hooding ceremony for graduate students at the University of North Carolina. Harris was a faculty member at the university from 1979 to 1993 and from 1996 until her retirement in 2010. She is currently on the faculty at the University of Alabama.